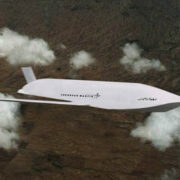 At a recent Lockheed Martin Joint Air-to-Surface Standoff Missile (JASSM) Supplier Conference, Electronic Concepts and Engineering (ECE) was honored with the prestigious “JASSM Sub-Tier Supplier Award” for quality and performance in supplying Lockheed Martin with Digital Engine Controls (DEC) for the JASSM Missile program.… Read more. At a recent Lockheed Martin Joint Air-to-Surface Standoff Missile (JASSM) Supplier Conference, Electronic Concepts and Engineering (ECE) was honored with the prestigious “JASSM Precision Award” for quality and performance in supplying Lockheed Martin with Digital Engine Controls (DEC) for the JASSM Missile program.… Read more. 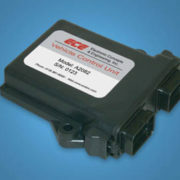 In the December 2005 issue of Automotive Engineering International magazine, Electronic Concepts & Engineering’s (ECE) VCU electronic controller was named as one of the “Top Products of the Year”. The multi-purpose VCU is a prototype level electronic controller for vehicle applications.… Read more. Ohio Governor Bob Taft presented Electronic Concepts & Engineering, Inc. the Emerging Technology Award!The State of Ohio officially recognized ECE as an award winner at a formal ceremony in Columbus. 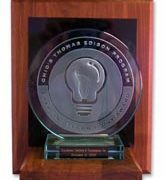 “The Thomas Edison Program’s Emerging Technology Awards recognize the significant technological achievements of Ohio’s small technology-oriented companies.… Read more. https://www.eceinc.com/wp-content/uploads/news_edison.jpg 200 165 admin https://www.eceinc.com/wp-content/uploads/ece-logo-revised.png admin2018-04-27 11:10:372018-11-06 08:34:28The State of Ohio Recognizes ECE with the Emerging Technology Award!